DETROIT — The Madison Building, owned and managed by Detroit-based Bedrock Real Estate Services, won “The Outstanding Building of the Year” Award by the Building Owners and Managers Association. The award is the most comprehensive of its kind in the commercial real estate industry. 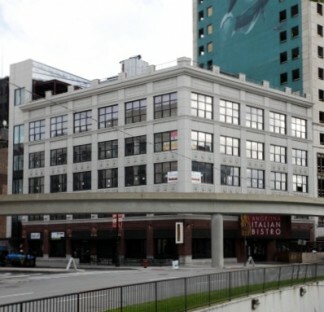 In 2011, Bedrock acquired and renovated the 5-story Madison Theater Building as its first real estate investment in downtown Detroit. Today, the state-of-the-art building has collaborative work areas and meeting rooms, a 135-seat auditorium, and a rooftop event space overlooking Comerica Park and Ford Field. In fewer than five years, Bedrock has invested $1.8 billion in more than 75 properties, totaling over 12.5 million square feet of commercial real estate in the city’s urban core. Tenants now have more than 20,000 employees in the downtown area, and the workforce continues to grow. “The Building Owners and Managers Association judges referenced Detroit’s ongoing resurgence and highlighted the fact that we’re leading the way in bringing new energy, creativity, and vitality to the city,” says John Guardiola, vice president of engineering and sustainability for Bedrock. In 1917, the Madison Building was known as the first major movie theater in Detroit. Modernizations include SMART building technology, allowing for remote control operating systems and more energy efficient operations.